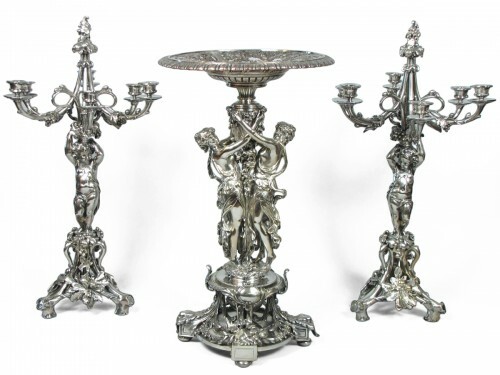 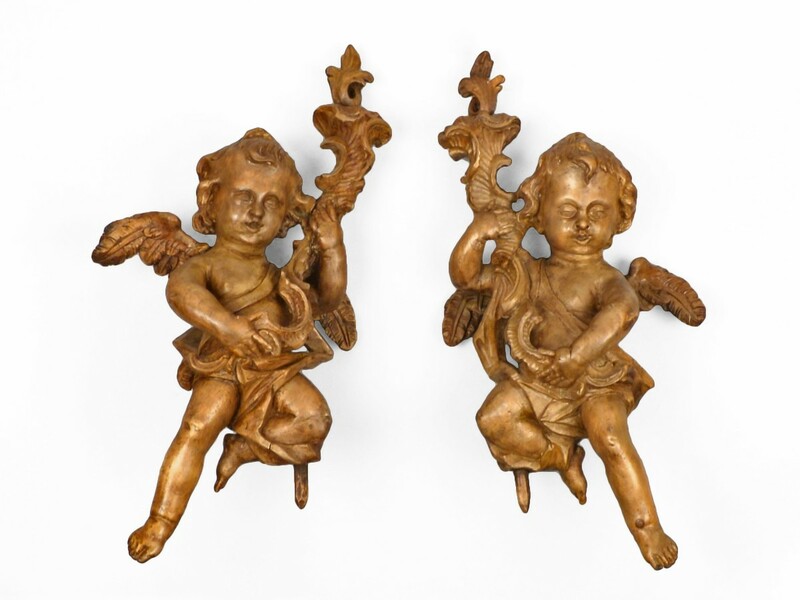 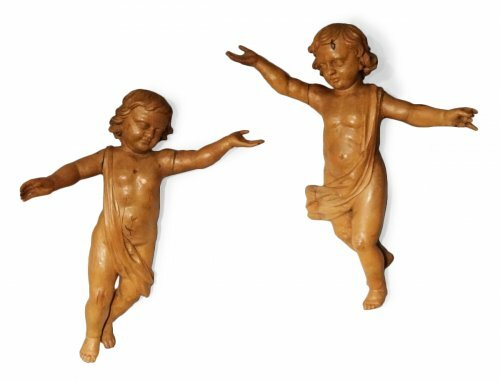 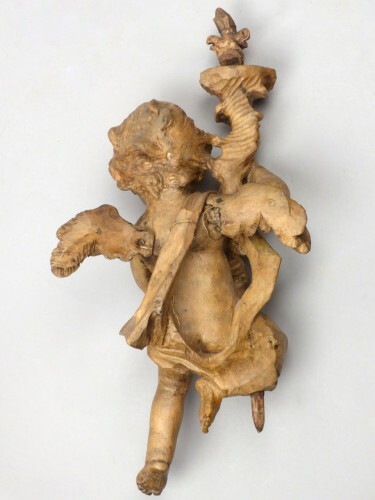 A pair of carved wooden angels holding rococo torches. Symmetrically made, they both have a bent knee as if they were flying. 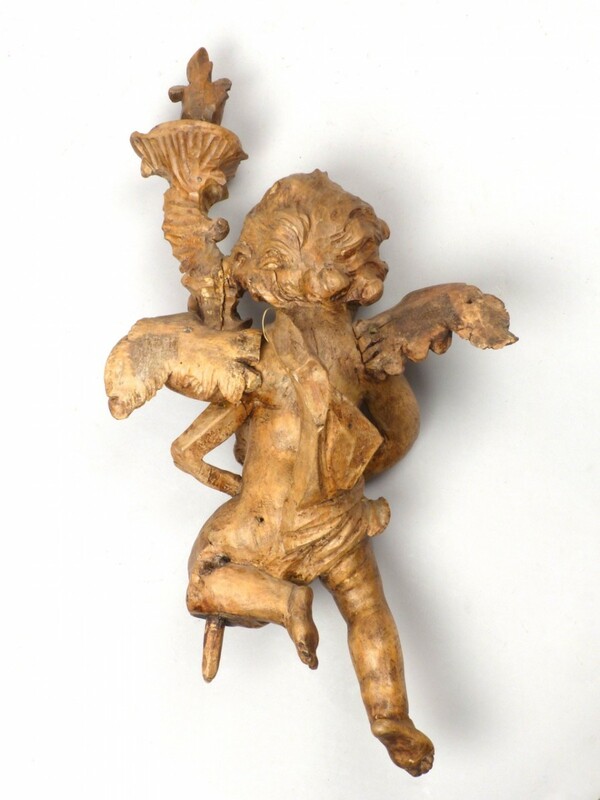 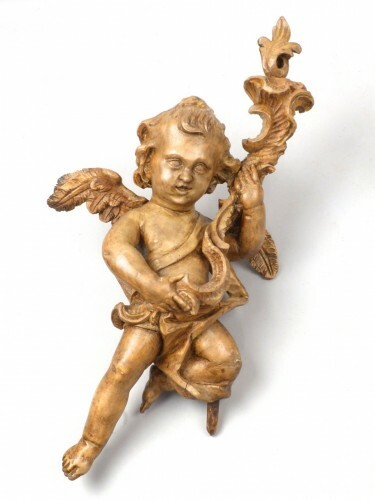 A small shaft is placed under the knee in order to maintain the angel.